The best approach to any therapeutic treatment session is the creation of a comfortable and supportive atmosphere. Our professionals strive to create an environment, where our clients feel relaxed and safe, so that each session fosters a deep connection between the client and counselor thereby maximizing the attainment of each client’s specific level of personal growth. Our professionals understand that many people and couples, who could utilize some form of therapeutic treatment to improve their overall well-being, fail to do so because of their busy day-to-day lives. 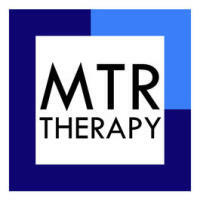 MTR Therapy offers online sessions for those unable to make in-office appointments, and in limited situations provide in-home therapy. We invite you to contact our office to discuss what form of treatment(s) would be available and best suited to meet your individual needs.